Last off-season was the most disappointing for Angels fans since 2010, the year Tony Reagins showed up inexplicably late to the winter meetings, fled on foot to avoid having an interview with Jon Heyman and failed to sign the two players who basically were linked as strong as any player could be linked, to the Angels (Carl Crawford and Adrian Beltre). That offseason proved to be just the beginning of a five-year downfall for the once prosperous organization. Bad drafts, no international presence, bad free agent signings and bad performance at the major league level led to the Angels turning into a bad team with a bad fair system. Fast forward to last offseason, where the Angels encountered yet another plentiful free agent market featuring the likes of Daniel Murphy, Jason Heyward, Justin Upton, Yoenis Cespedes, Alex Gordon, Denard Span and Dexter Fowler. 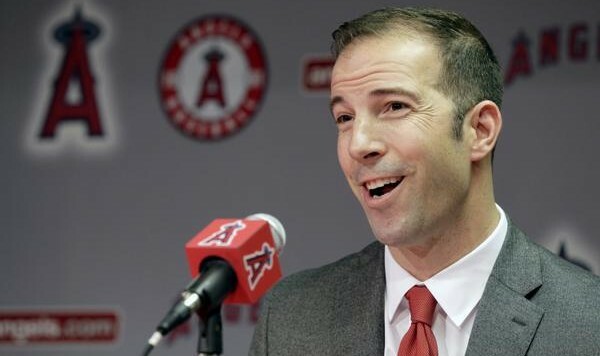 The Angels had specific needs at 2B and LF, where the market was particularly flush and instead, we saw new GM Billy Eppler opt for Daniel Nava and Craig Gentry, both of which have since been DFA’d. Owner Arte Moreno particularly drew the ire of Angels fans when he gave an interview aboard his yacht and had the gall to tell Angels fans they didn’t have any money to spend. Further cementing this particular breed of hatred for the Angels uber-rich owner was the simple fact that he over-stepped his bounds by interfering in baseball operations and signed Josh Hamilton. When the deal went south, Moreno showed a complete unwillingness to fix the situation he created. Perhaps what has grown to be the longest saga for Angels fans, even stadium negotiations have gone south. 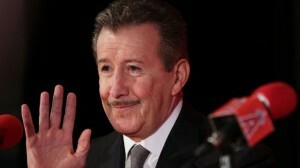 Moreno was gifted a sweetheart deal from the city of Anaheim and has since changed the Angels name and has recently asked for tax payer money to build a new stadium in Anaheim despite the fact that Moreno has no debt over the team, has had control of Angel Stadium and the surrounding vicinity for $1 per year. And if this weren’t enough, Moreno out of sheer pride, has cut all ties to one of the largest newspapers in the world, The LA Times, over a respected writer openly questioning the direction of the ball club (as any beat writer in America is prone to do). Well Angels fans may be in for another rough winter. As the season closes, we’re entering into a free agent market that is perhaps the weakest seen in several years, and the Angels are currently on pace to threaten the worst record the organization has had in 30 years. GM Billy Eppler has already made it clear that the market is thin on pitching, and has since opted to sign minor league free agent pitchers in hopes they can make the leap to the majors. He’s even begin transitioning bullpen arms such as Chris O’Grady into starters in order to augment the Angels pitching depth. Furthermore, it is believed the Angels will begin saving money in free agency in order to make serious bids to retain Garrett Richards after 2018, Kole Calhoun after 2019 and Mike Trout, Matt Shoemaker and Andrelton Simmons after the 2020 season. So despite the $49 million coming off the books after C.J. Wilson, Jered Weaver, Joe Smith and Geo Soto’s contracts coming off the books, and being relieved from a further 28 million due to Josh Hamilton after the following season, it appears owner Arte Moreno will still be unwilling to spend on any major free agents. The lines up with the reported unwillingness of owner Arte Moreno to exceed the luxury tax limits on a ball club just a move or two away from a World Series run for the third consecutive year. The only other reason for a strong reluctance to spend any money whatsoever to field a winning baseball team other than greed is that perhaps the Angels intend to spend big in 2018, when Bryce Harper, Manny Machado, Clayton Kershaw, A.J. Pollock, Matt Harvey, Jose Fernandez, David Price, Andrew McCutchen, Josh Donaldson, Dellin Betances, Andrew Miller and Garrett Richards all hit free agency. Maybe the Angels are going to take the 75+ million coming off the books over the next year or two and reinvest it into Harper, Machado and Richards. Somehow I find that unlikely.